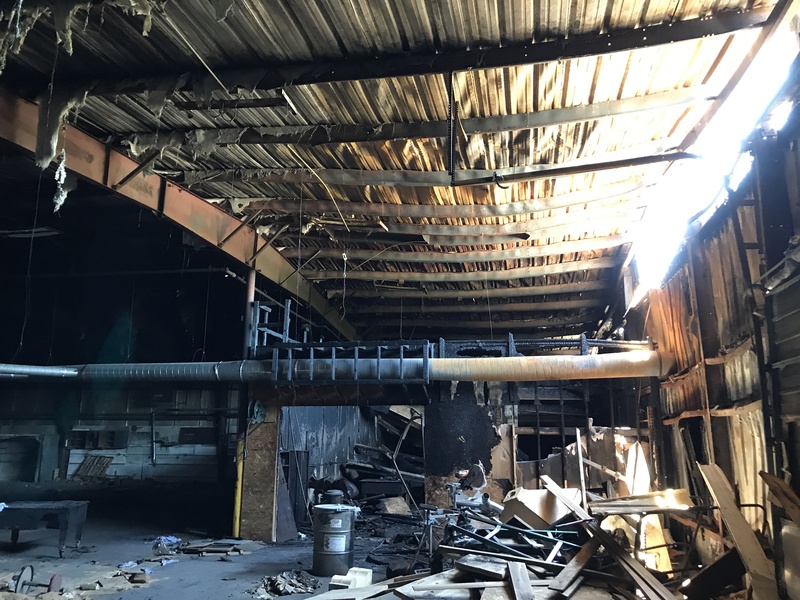 If we were to tell you that nearly two years ago our shop caught fire, was deemed uninhabitable, and that we just returned “home,” it may come as a surprise. Experiencing a fire for any business is an absolute nightmare and it was just that. However, for most things, there is a silver lining. For us, it was the ability to make improvements to an already well-oiled machine. Today, having made these advancements, we can credit our increased efficiency to the fire. As they say, a blessing in disguise. 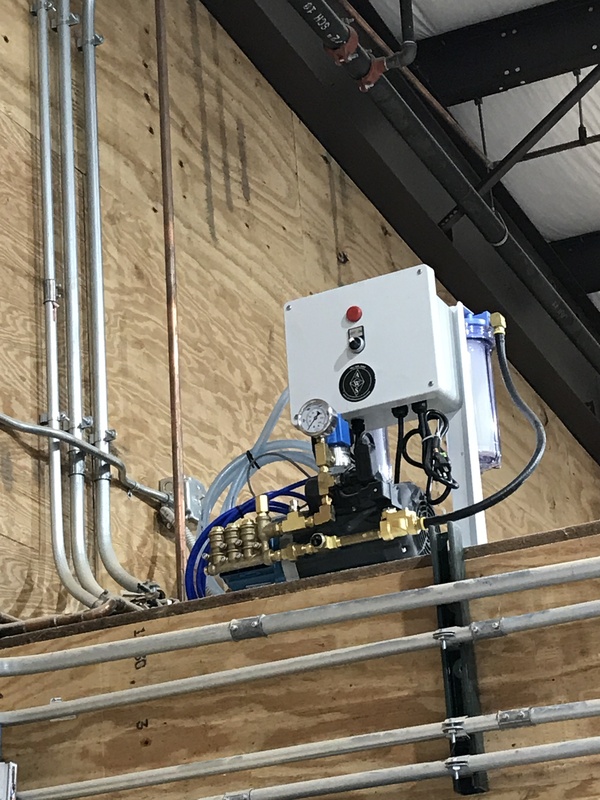 To find out how it all began and what our upgrades include, read on. If you aren’t the reading type, scroll down to watch our video highlighting the fire, but more importantly the improvements. 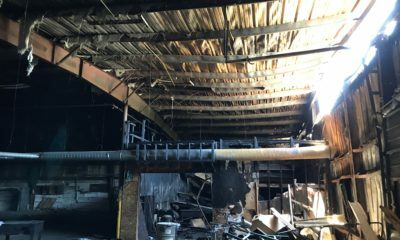 On March 4th, 2017, having shut down for the weekend, at almost midnight, we received a call our shop was on fire. A large handful of fire trucks later we were left with the remains of our workshop. 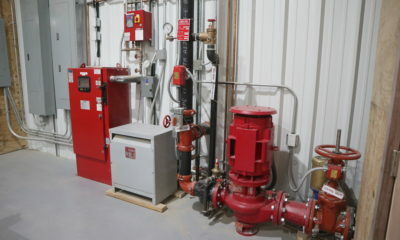 The fire stayed in the back-end of our shop where our table building takes place. To our relief, aside from some soot, our showroom was left unharmed. Fast forward a long 18 months later our shop was re-built, ready to re-opened, and better than ever! 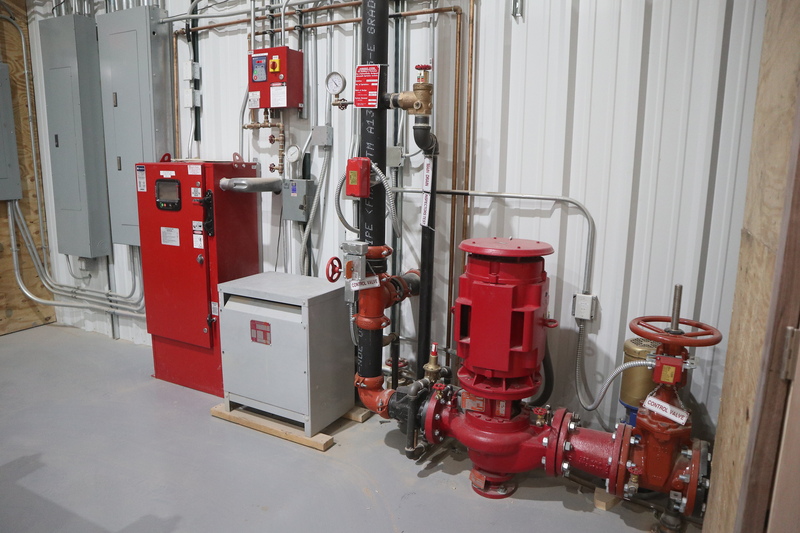 What “fixes” the catastrophe afforded us include: cosmetic updates to our showroom and upstairs, a sprinkler system, finishing room, LED lighting, insulation, climate control, a mister, and indoor storage. These changes may seem insignificant, but to us they are a game changer. Here’s why. As we’ve said the showroom had minimal damage. However, we took this opportunity to make a few additional changes to optimize our space. Other than the standard cleaning, pick me up paint job, new trim and doors, we added a wheelchair accessible bathroom. 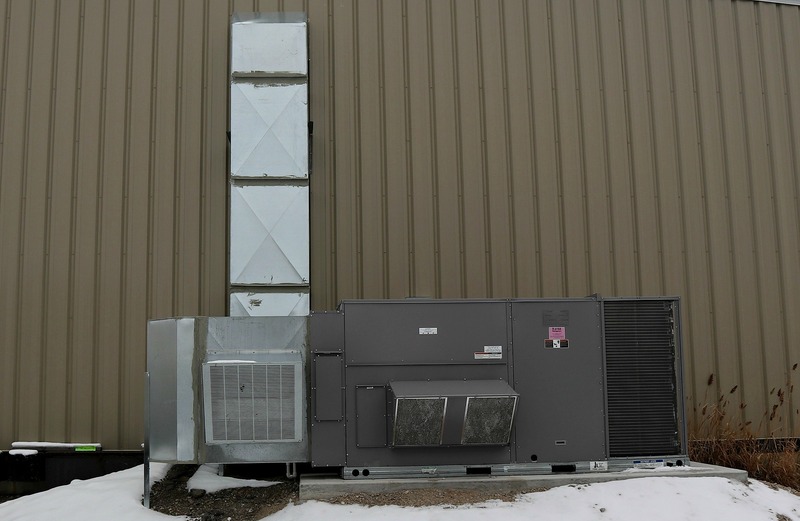 This allows us to better serve our customer’s needs. Additionally, we removed a wood burning stove, affording us extra showroom square footage. The final cosmetic fix was our upstairs. 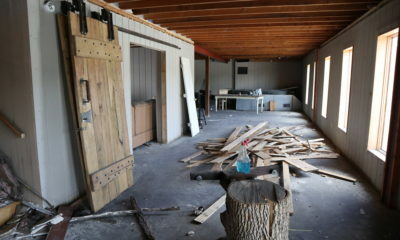 We repurposed old, charred scraps of wood from the fire with new to make up the flooring. What would have been a life-saver the first time around, we hope will never see a day of action. 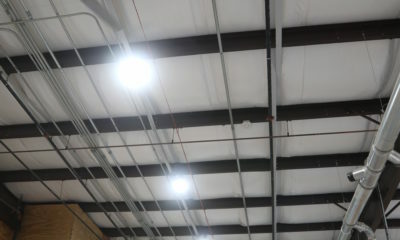 Our sprinkler system, as mentioned, is installed on the ceiling of our entire building. 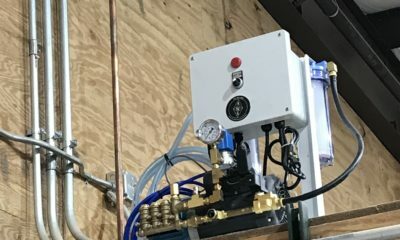 Operating with a sensor, if the temperature becomes too great, the sprinkler system is triggered. As we said, we hope this is one of those things we’ll actually never need. . .again. The final step to our tables is the staining process. 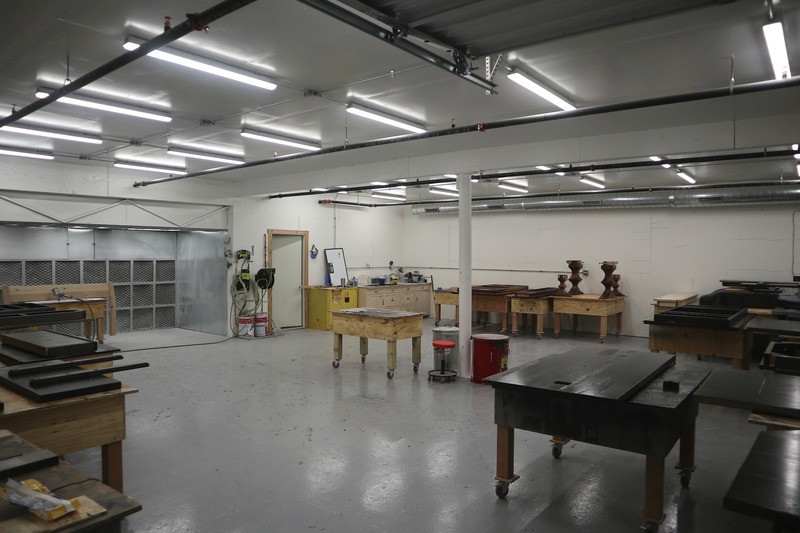 To ensure a smooth, clear finish we created a room completely separate for all the finishing. 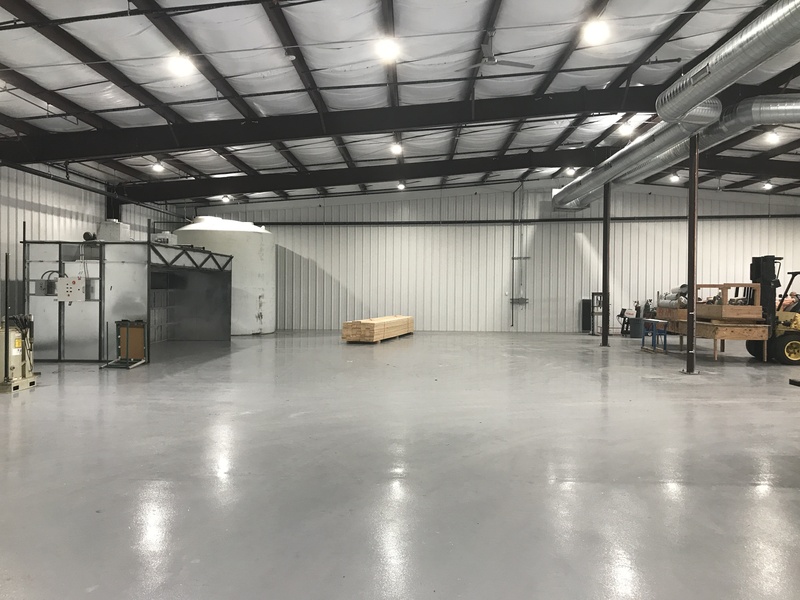 Still a part of our workshop, but with a door to divide, our finishing room is designed to proactively guard against particles settling into the finish. 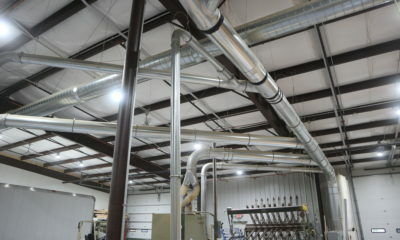 The LED lighting allows for a more efficient use of electricity. These bulbs are known to last longer and are thus more economical. The materials used to make them do not heat up like “normal” bulbs and are less likely to produce too much heat and/or combust. LED lights have what is called CRI. Color Rendering Index refers to the true color of an object and when compared to other sources of lighting, LED lights provide a much more accurate depiction. We could keep going as to why LED lights are superior, but you get the point. Our building is fully insulated. 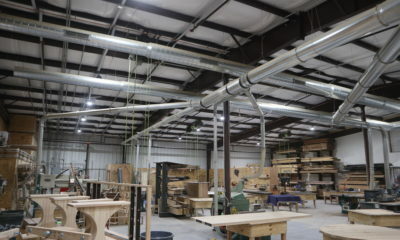 This helps combat weather caused fluctuations in our workshop. In the winter, the insulation helps guard against the chill of the outdoors and vice versa with summer. 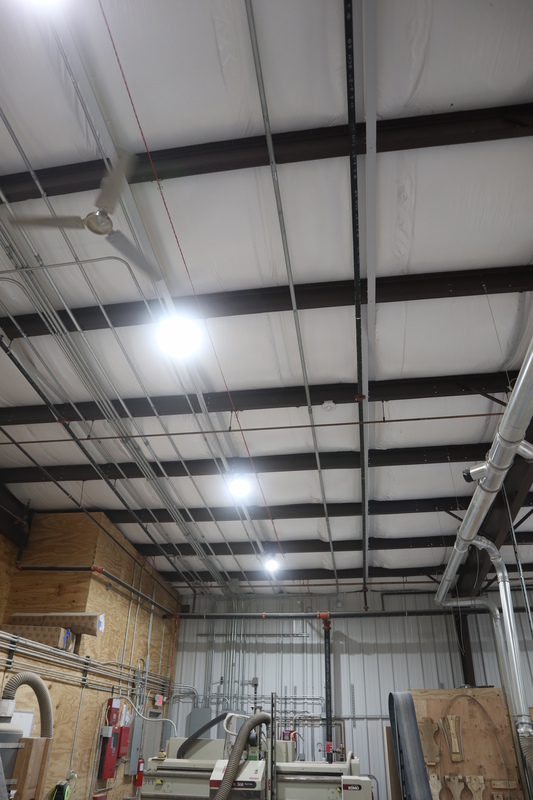 Overall, this creates a more economical and stable building atmosphere. Relating to the topic of humidity, our entire building is heated in the winter and cooled in the summer. Along with that, we humidify in the winter because moisture is typically sucked from the air by heaters. 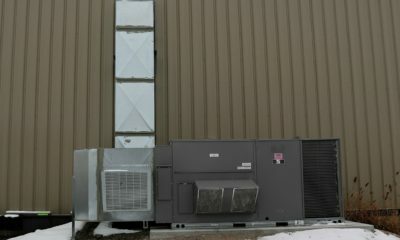 The summer months require dehumidifying because of higher levels of humidity and rain that hotter temperatures bring. As we’ll discuss later, our mister takes part in supplying stable lumber. 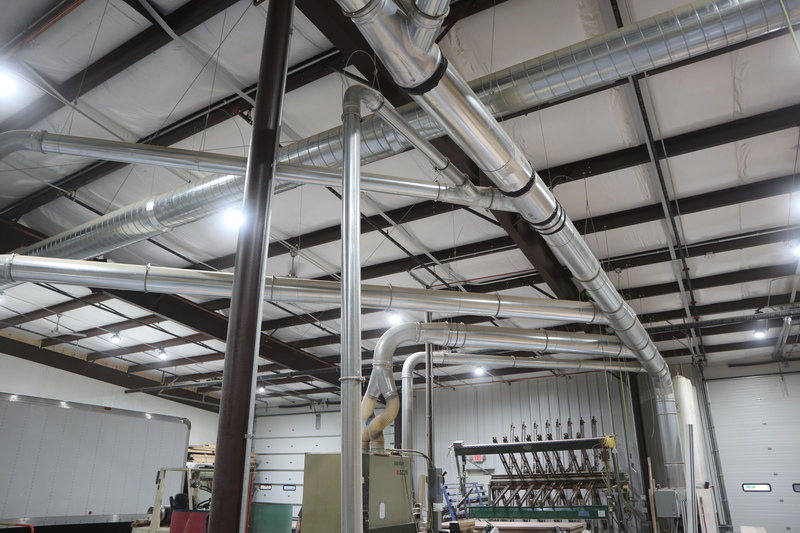 Adding these few machines along with the insulation, has had a great impact on our efficiency and maintaining a high standard of wood quality. 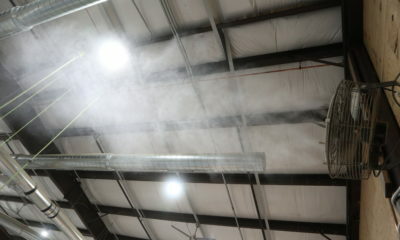 No, we’re not referring to a male title, but rather a device that literally sprays a mist of water into our workshop. It may seem like an odd concept, but here’s the reasoning. 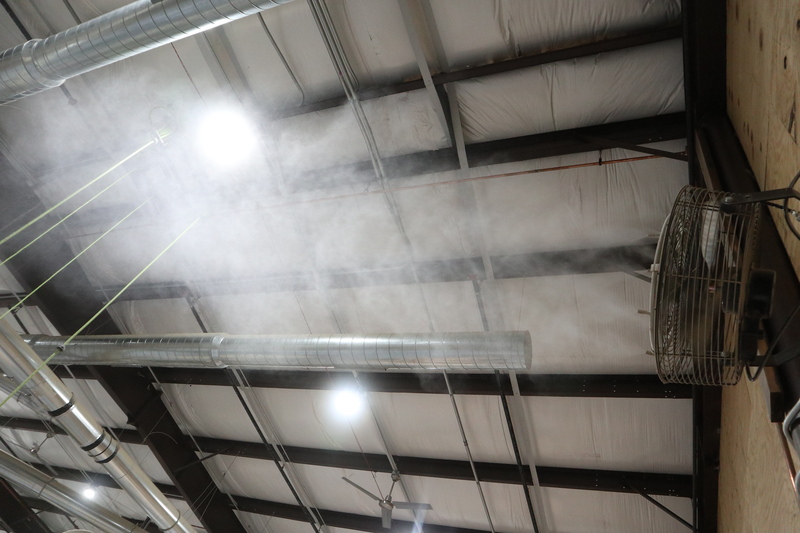 On more than one occasion we talk about the importance of tracking humidity levels (don’t know what we’re referring to, click here to learn more on the importance of humidity levels). Humidity has a big affect on wood. As humidity in wood increases, wood expands. In contrast, as humidity decreases in wood, it contracts. Imagine trying to build solid, sturdy wood tables with endless fluctuations. As the weather fluctuates, humidity does right along with it. Thus, the need for a mister. Installed with a sensor, if the humidity becomes too low, a mist is triggered ensuring our wood has the proper humidity levels. At this point you may be tired of hearing about wood and the importance of humidity and stability when building furniture, but the value cannot be ignored. 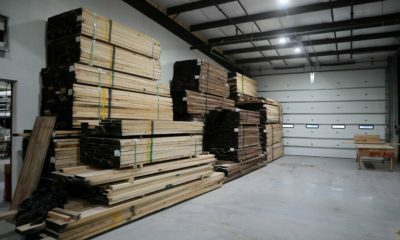 Once lumber is cut from its natural form, it is then kiln dried. 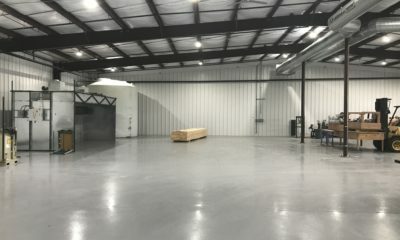 Oftentimes after wood is kiln dried, it is then stored outside or in unregulated warehouses leaving it defenseless to temperature and humidity. You can build with wood that has been stored in an unmonitored facility or outdoors, but with this, you take a risk. 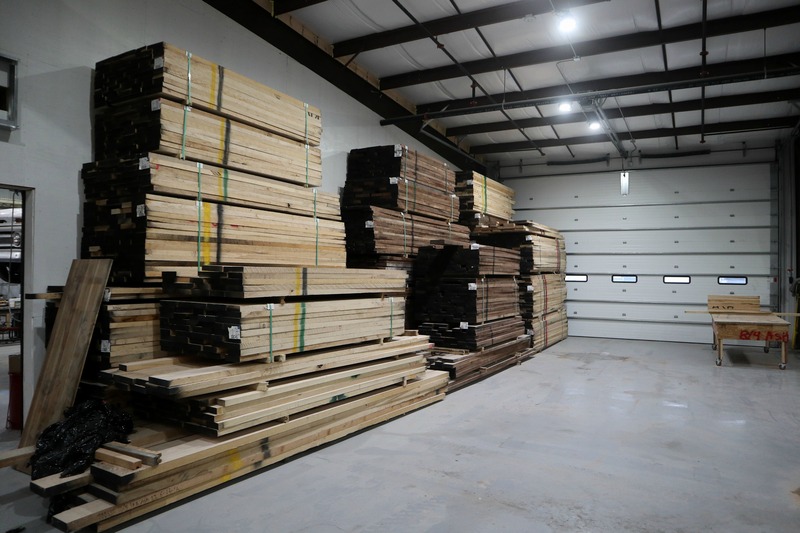 Which brings us to the point, the value of storing wood indoors months in advance, if not indefinitely, greatly decreases the chance of fluctuations in the wood. These fluctuations often result in cracks. 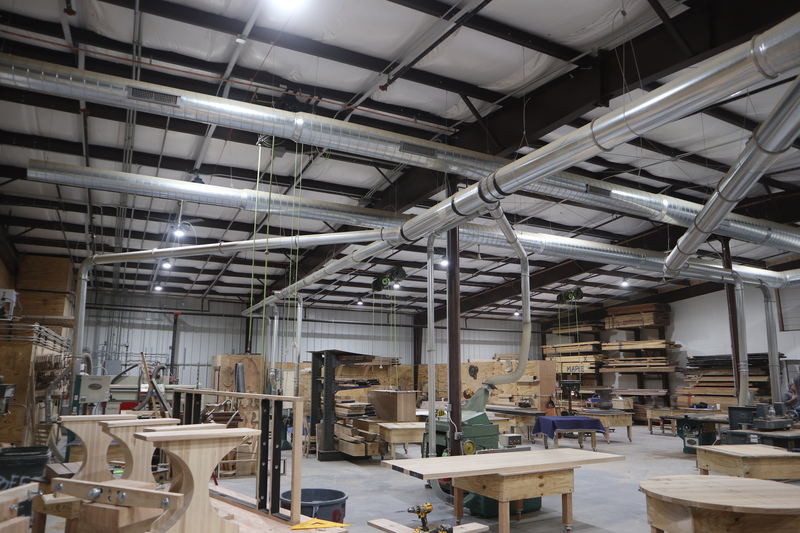 For this reason, we’ve ensured ample room for ALL of our wood to be stored in our climate-controlled workshop. 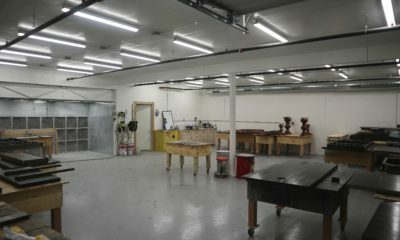 What may have caused us to temporarily relocate, hours of additional work, and occasionally pull our hair out, in fact provided us the opportunity to fine-tune our shop. After losing his factory to fire, Thomas Edison was quoted saying, “There is great value in disaster. All our mistakes are burned up. Thank God we can start anew.” Through this we learned to roll with the punches and make lemonade out of lemons. Thanks again to those of you who cheered us on and treated us with understanding as we found our way through this process. We couldn’t have done it without you! 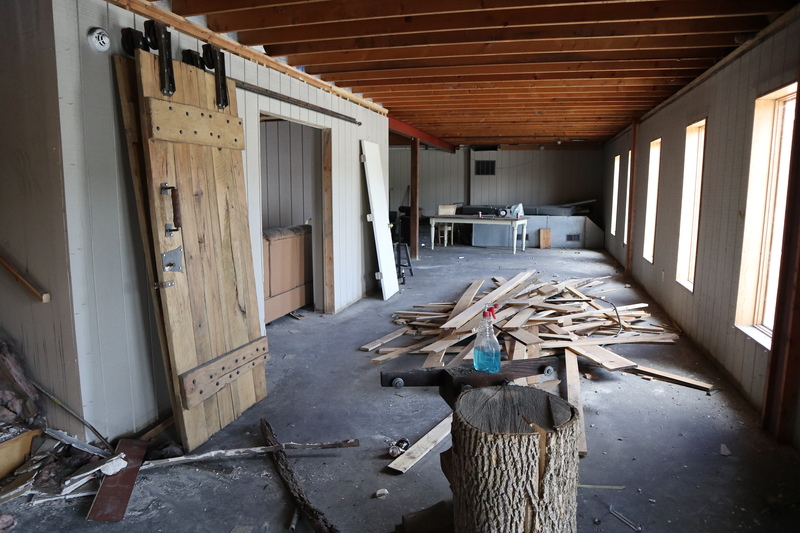 If you’d like to see more pictures of the fire damage, temporary shop, and our shop rebuild, check out the video below! 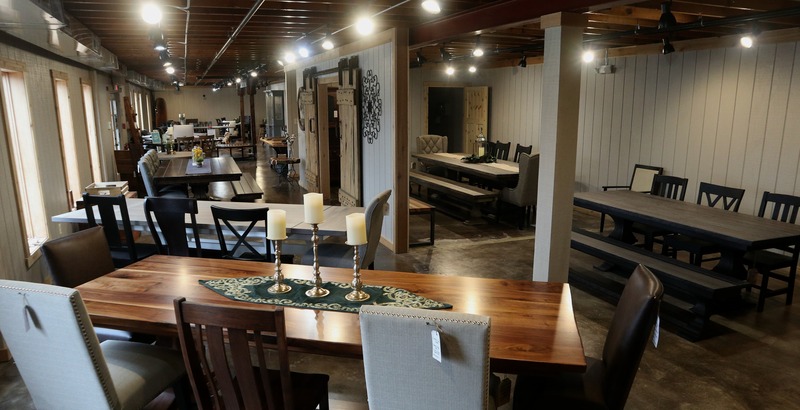 Take a peek at what we have on our NEW showroom floor ready for purchase. 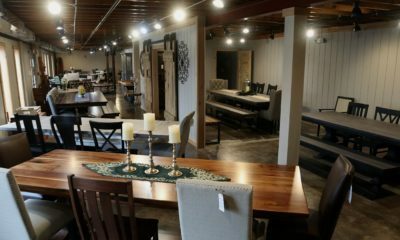 Curious what else we have to offer, check out our table portfolio and other furniture. Any questions, don’t hesitate to contact us!